Latest Futsal News – Boonah Soccer Club – Soccer & Futsal Inc.
All positions become vacant and will need to be filled at the meeting, we have a number of our current Committee Members moving on with their families, we will need all members to attend, so the season can progress smoothly. Quorum for the AGM is 11, please attend we require members to attend to conduct the election. The Club cannot function without a Committee. Members, Coaches & Managers, please attend. For Soccer – Fun Fitness and Friendships. We would love some new faces to join our strong Committee. Email for a copy of Position Descriptions, AGM Minutes & the AGM Agenda. Supper will be provided, see you all there! ATTENTION!!! ATTENTION!!! Junior FUTSAL is still going AHEAD!!! For this Summer Season 2018 we are holding an extra sign-on day this FRIDAY 21 September 2018 4:30-5:30pm at the Boonah Sports complex. Last sign on for ages 9-11 & 12-14. Don’t miss our last futsal sign on!!! Good news: JUNIOR FUTSAL will go ahead!! The Futsal Committee has received some helpers (thanks Christine & Rae!) so we are now able to have Junior Futsal sign-on as well as Mixed Open team sign-on tomorrow Monday 17 September at the Sports Complex from 4pm – 6pm. We could still use extra volunteers, especially for the 9 – 11 Junior age group – please let us know at sign-on if you can help. Share with friends and family to get the word out. See you all there! Welcome to the 2018/2019 Summer Futsal Season! Sign-on for the MIXED OPEN AGE GROUP ONLY will be held at the Sports Complex, Coronation Drive on Monday 17 September from 4pm – 6pm. The Open Comp will run for ONE NIGHT rather than two and we will NOT be able to offer a JUNIOR COMPETITION this season as we have very few committee members and unfortunately no new volunteers have come forward. Open Mixed Team nominations will be accepted on a first-in-first-served basis: the first 6 to 8 teams to submit a full team at sign-on will be accepted. Each team must have at least two female players and players need to be 15 yrs plus. We aim to kick-off the season in the first week of October/start of Term 4. Information regarding fees will be available at sign-on, payments can be made via Direct Deposit or Electronic Funds Transfer. Futsal Summer Season to go ahead? 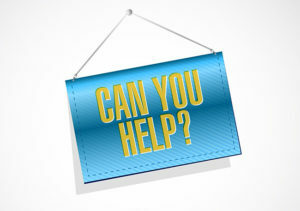 Help is urgently needed for the upcoming Summer Futsal 2018/2019 Season! Referee Co-ordinator (to take care of rosters etc for both Junior & Opens games. If all of these positions are not filled by 4 pm Friday, 24 August 2018, then the Boonah Futsal Club will not be able to carry out the new season ahead. Round 12 Get Started Vouchers Now Open! Round 12 of Get Started Vouchers is now open and will close 28 September 2018. Registrations fees: $95.00 new players and $50.00 for returning players of summer comp. Welcome to the 2018 Soccer Season & 25 years of Soccer in Boonah! Our Meet & Greet Muster Day will be Sunday 18th March 9.00am, Boonah Sports Complex, Coronation Park. Coaches & Managers to meet with team to arrange training days & times. Managers to chase up signatures & direct players to complex for any outstanding photos required & payments. *A number of Teams currently still have NO COACH & NO MANAGER (see below), there is a short 15 minutes before the Coach & Manager briefing in complex, for these positons to be filled, however ideally we would like these positions filled prior to muster as this can be time consuming. PLEASE FEEL FREE TO CONTACT Cathy Milano – Secretary 5463 7582 / 0407 262 959 [email protected] .au for any information on Coaching or Managing. Mega Sportz Soccer Camp Registrations Opens 9 March! 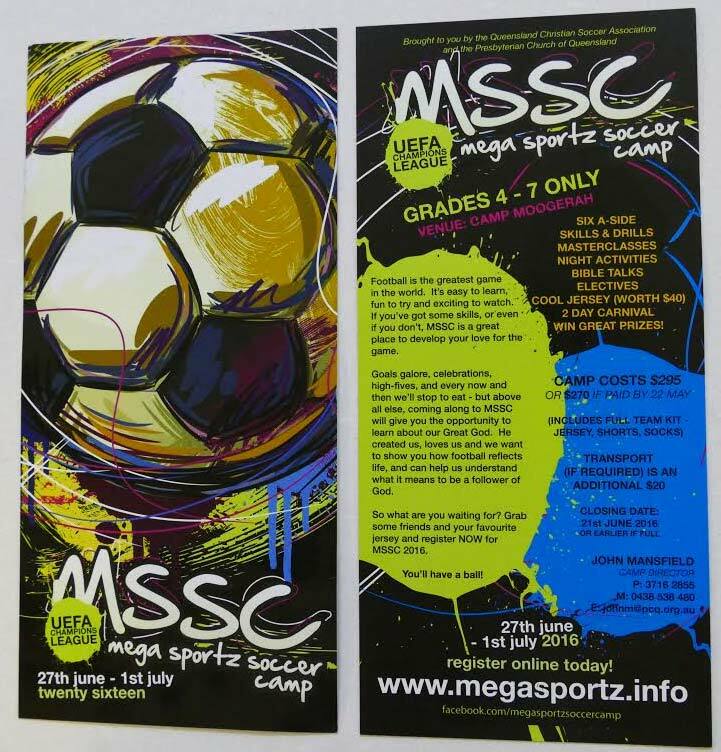 The Mega Sportz Soccer Camp is being held again in July this year. If your child would like to play, register as early as possible as this is a very popular camp and fills up very quickly. We have some players interested in forming a senior men’s team this season (ages 17 and up). We have an Over 30 Men’s team also. If you would like to play, please register now: go to Register Online and follow the link. The Boonah Soccer Club is a Get Stared registered club, get in quick for the 2018 season! Help Needed for U9/10 Grand Final Sat 2 Sept! 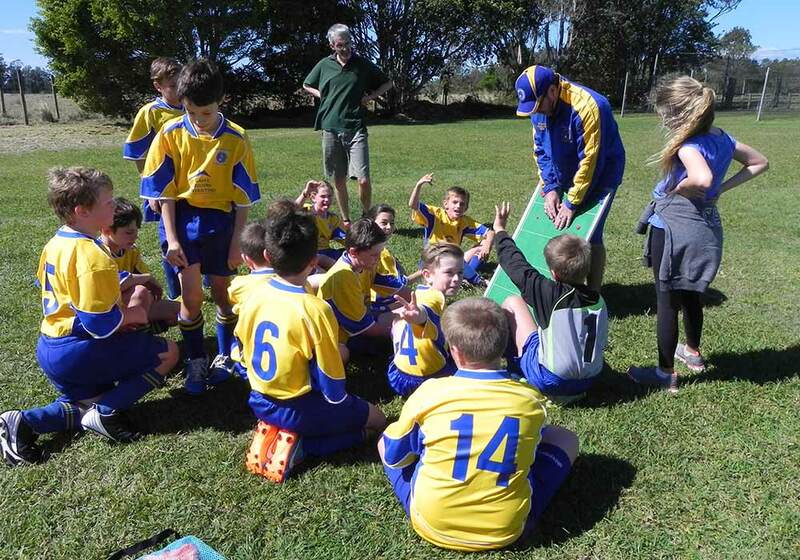 Boonah Soccer Club has been selected to host the U9 and U10 West Zone Grand Finals. On Saturday 2nd of September. This is a great opportunity for us to promote our club & also do a little fundraising. Fields 1 & 2 – Nets, Corners Posts, Banners, Sub Benches & Shade Tents [Approx 8] and Tables. As well as volunteers to help Murray and June in the canteen. “YOUR TIME NOT YOU MONEY IS REQUIRED” PLEASE the Committee need your assistance. Please email Shane Birch [email protected] the duty and time are able to assist. At the moment out of the entire Club, except for Committee, disappointingly we have had only 3 people put their names down to assist. Thank you to those 3 who have been in touch to get your names on the roster. The Roster will be put up on our website and facebook page. Please email Shane your name and duty so we ensure we have enough help to make the day another success for the club. Upon registrations all Families are expected to assist with Fundraising events & working bees. Due to family commitments Korin Worley is vacating the position of Futsal Chairperson. Korin has held this position for 10 years! 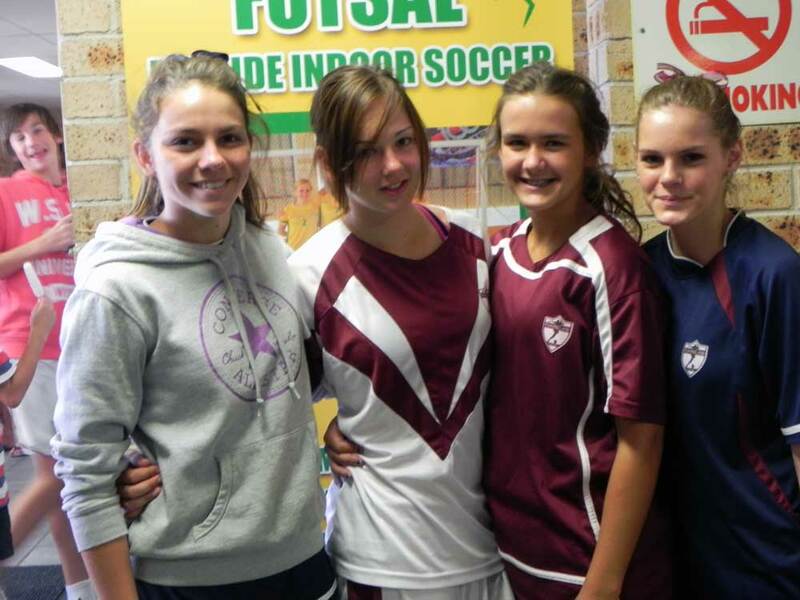 The Boonah Soccer & Futsal Club really appreciate all the hard work you have but in over the years – thank you Korin!! How are we going to replace him? Please consider taking up this position so the Futsal Club can continue and Korin gets a well-deserved break! We have a great committee in place to support the new Chairperson and Korin will still be involved in the Futsal Club as a player and/or referee and will be able to offer advice. The Chairperson position must be filled before we can start the 2017/2018 Summer Season (sign-on scheduled for early September). Nominations need to be in by 4pm next Tuesday 22 August. The Futsal Annual General Meeting will be held on Wednesday evening, 16 August at 7 pm at the Coronation Park Sports Complex. All welcome! All teams interested in playing this season to be represented at this meeting. 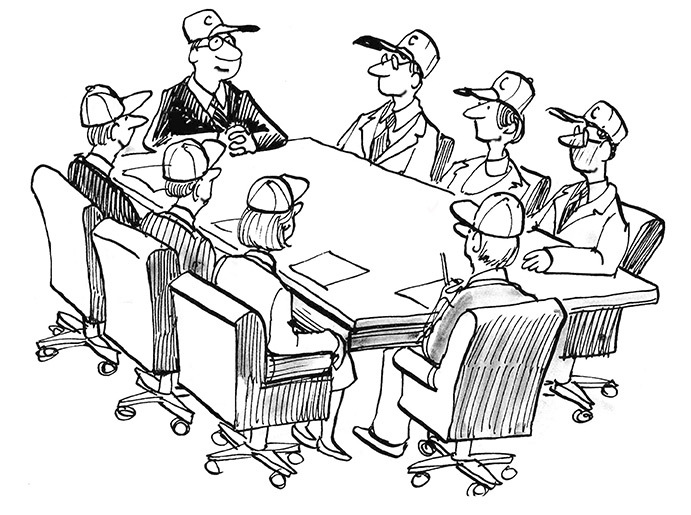 All committee positions will be vacated and must be filled so that the new season can commence. Date Claimers – add these to your calendar! 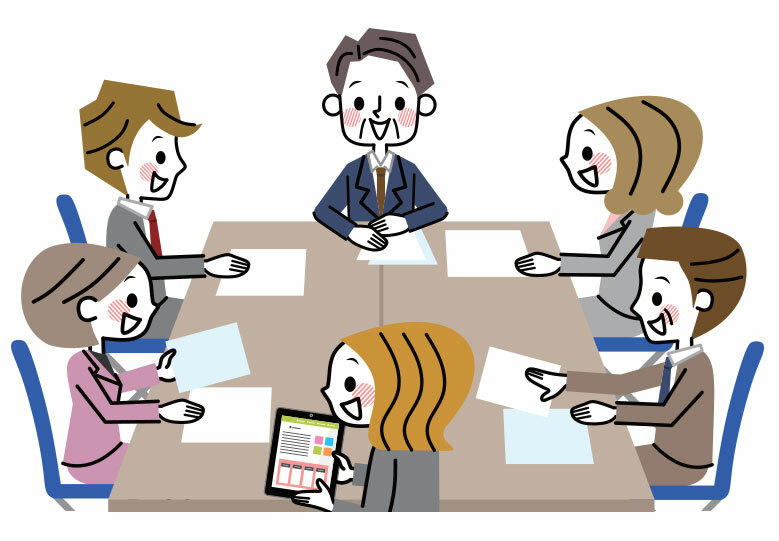 Committee meeting, tomorrow 9 Aug at 6.30pm. All welcome – come along and get involved in your club. Boonah is hosting the U9/10 Grand Finals 2 September!! This is a great opportunity for fundraising. We will need some help so please stay tuned. Club Presentation is on Saturday 9 September. We would love to see all players there to receive their trophies, rewards and team photos. More information coming soon. Futsal AGM will be held Wednesday 16 August at 7pm. All positions will be vancant. All welcome! 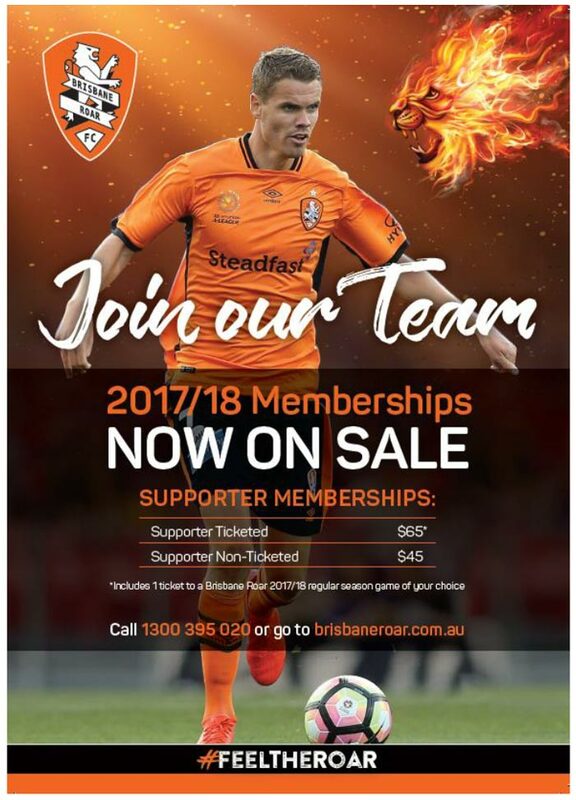 Brisbane Roar is offering QCSA members the opportunity to purchase a special Flexi Supporter Membership. Members will need to clearly state that this is the QCSA Flexi Ticket to the call centre operator to claim the offer. The Mega Soccer Sports Camp will be having their games at Coronation Park on Thursday 29 and Friday 30 June. This will be a great fundraiser for the club. We will need helpers on both days. You don’t need to be there all day, even an hour of your time will be much appreciated! If you can donate labelled baked goods, produce and even plants, it would be very much appreciated. We will have parents from away who will love country cooking to take home. Goods can be dropped off at the Sports Complex, Coronation Park any time from 7am on both mornings. 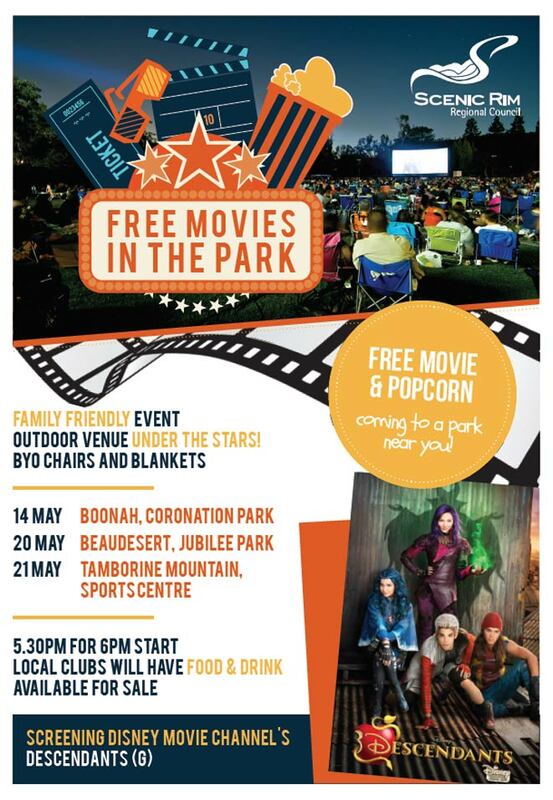 Come along for a family friendly event, watching The Angry Birds Movie, outdoor under the stars. BYO chair and blankets. Saturday 20 May Boonah Sports Complex, Coronation Park 5.30pm for 6.00pm start. This FREE workshop will improve your skills in the competitive field of grant writing. Gain practical, first-hand knowledge on how to write grant applications, where to look for funding and how to budget correctly. Review real life grant application examples. Understand funding criteria and requirements. 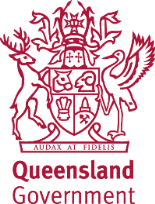 To all our members, parents, caregivers and visitors – please abide by the Queensland Smoking Laws in relation to under 18 sporting venues. The law protects our children and young people from the dangers of second-hand smoke. If you must smoke, please keep well away from designated areas (see below). 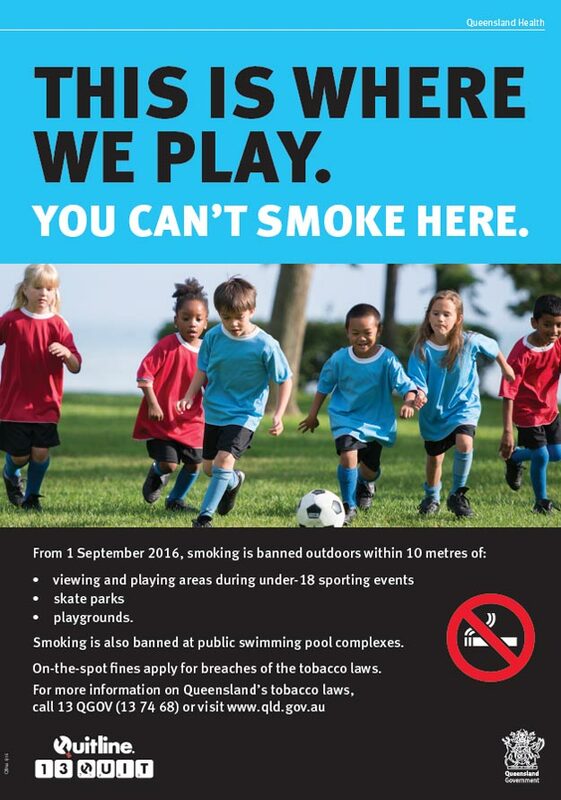 Smoking is banned within 10 metres of viewing and playing areas. The ban also applies during training sessions and at any intervals or breaks in play. warm up areas and spectator areas around the fields. Fines apply to breaches of this law. Thank you for your cooperation. 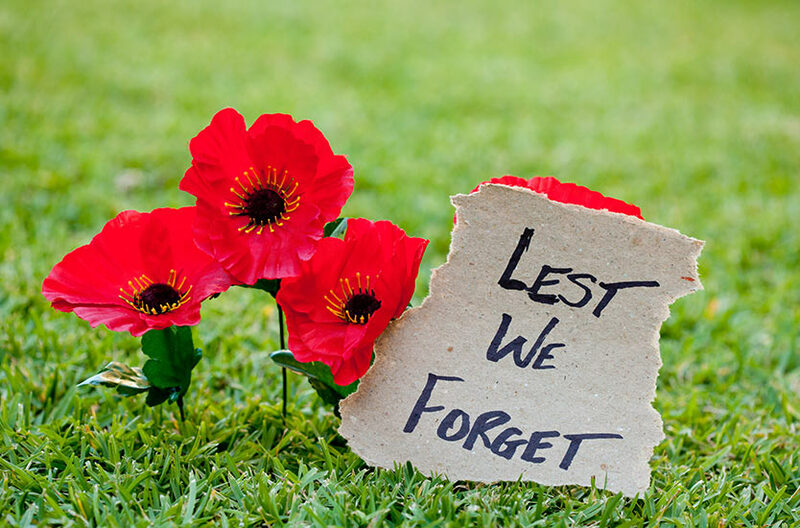 The Boonah Soccer Club is marching on Tuesday 25 April in the Boonah Anzac Day March, we hope you can join us. If you would like to march, meet us on Church Street at the Curry Hut Indian Takeway around 10.20am ready for the march to start at 10.40am followed by the service (optional) at 11.00am. Please wear BSC training shirt or club shirt, blue shorts and club socks and follow the sun smart guidelines – BSC soccer cap (if you have one) hat & sunscreen. Futsal Sign-on for the Open Mixed 2017 Winter Season will be held on Monday 27 March from 6.00 – 7.00pm at the Boonah Sports Complex, Coronation Park. Please bring team nominations to sign-on with minimum 8 players. We are still looking for kids to join our new Tiny Tots soccer group this season. We have now changed the age group, so if your child turns three or four in 2017 and they love to kick a ball, join up now. Best of all, there are no fees!! Note: a decision has not yet been made on which day it will be held, we can only do so once we have a team together and can discuss with parents. The Camp is for kids in Grades 4 – 7 and is held at Moogerah. To support more eligible children with getting a voucher from the Get Started Vouchers program, an additional allocation of vouchers will be made available for Round 9. The program will re-open for Get Started Vouchers applications at 9:15am on Friday, 24 February 2017 to eligible children and young people who have a valid Centrelink Health Care card or Pensioner Concession card. Further details about this re-opening are available on the website at www.qld.gov.au/recreation/sports/funding/getinthegame/getstarted/. If you have any further queries please do not hesitate to contact us at [email protected]. 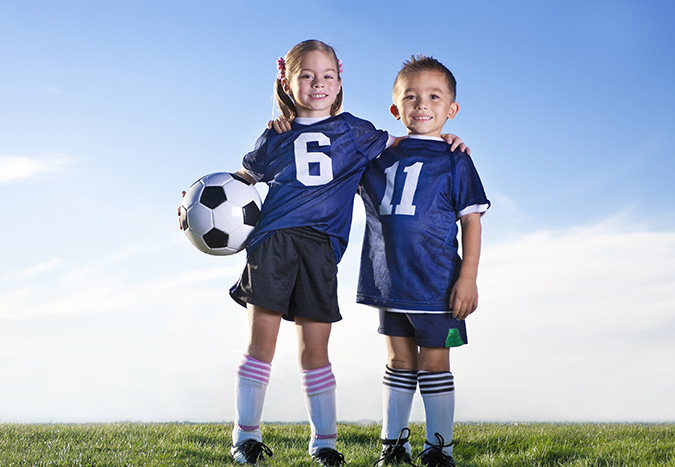 Tiny Tots soccer is here! The Boonah Soccer Club is happy to announce we will be offering Tiny Tots soccer this season! If your child turns three or four in 2017 and they love to kick a ball, join up now! Best of all, there are no fees!! The AGM will be held on Tuesday 14 February, 6.30pm at the Boonah Sports Complex, Coronation Park. All welcome, Managers, Coaches & Members please attend. Supper provided. The Futsal Committee meeting will be held on Tuesday 29 November at 6.30pm followed by the Soccer Committee meeting at 7.30pm at the Coronation Park Sports Complex. All welcome! Tonight’s Club Management Committee meeting for 9 November has been postponed – next meeting to be advised. Apologies for the late notice. Please download this form for those Players who are interested in trialling for West Zone for 2017. If you print off and fill in the form and take it to the Muster and hand to a Zone Offical. If you are planning to attend can you please email me your name & age asap. As a Club we need to endorse and send a list to the zone Secretary. If anyone is interested in Coaching or Managing a zone can you please let me know, I will pass on to the Zone Secretary as well. The Futsal sign-on for the 2016/2017 Summer Season will be held on Monday 5th Sept and Tuesday 13th Sept at the Boonah Sports Complex from 3:30pm – 6:00pm. No EFTPOS cash only at sign on. Bank Transfer option is preferred, more info at sign on. Players must be financial before they can play. The Futsal AGM will be held on Wednesday evening, 17 August at 7 pm at the Coronation Park sports complex. All welcome! This weekend Saturday 6th August, the Club has a Fundraiser catering for a Cricket conference at the Sports Complex. We are asking All Teams to please provide two plates each of bake goods to assist us. Baking can be dropped off to the canteen on the day. 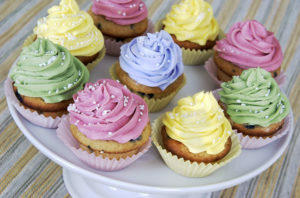 Your Team Manager will officiate for your team, if you can notify them of what you can bake, so we are not left short. Thanks everyone! Mega Sportz Camp Award – Congratulations Cassie! 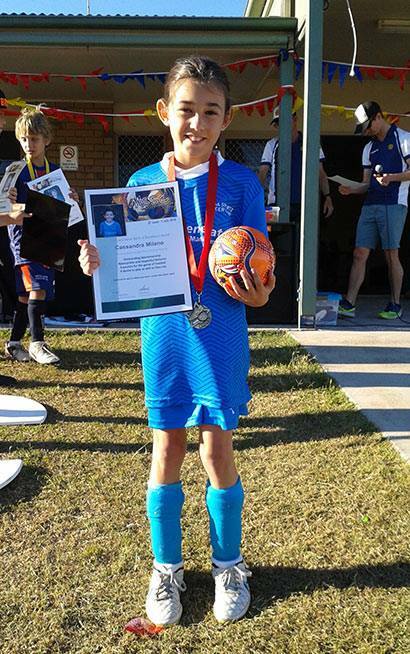 Cassie Milano received the ‘The Lana Harch Spirit of Excellence Award’ at the Mega Soccer Camp last week. Well done Cassie! A desire to Play as well as they can. The Club Cap is Back! Orders are now being taken for a once only special buy for our Club Caps cost is $15-00. All orders & payments will be through your Team Managers. Full payment is required when placing your orders. Club Hats are not a stock item, so don’t miss out, order now! Orders Close Thursday 16th June. The Brisbane Roar Active Program has been rescheduled for 19 June. The Roar Clinic includes 2 hours of football fun with the Roar coaches, skill, drills and games in the Roar inflatable field. If you have registered and paid previously, you are already booked in and don’t need to do anything. Note: This is open to all children not just members of the Boonah Soccer Club so please let your friends and family know. 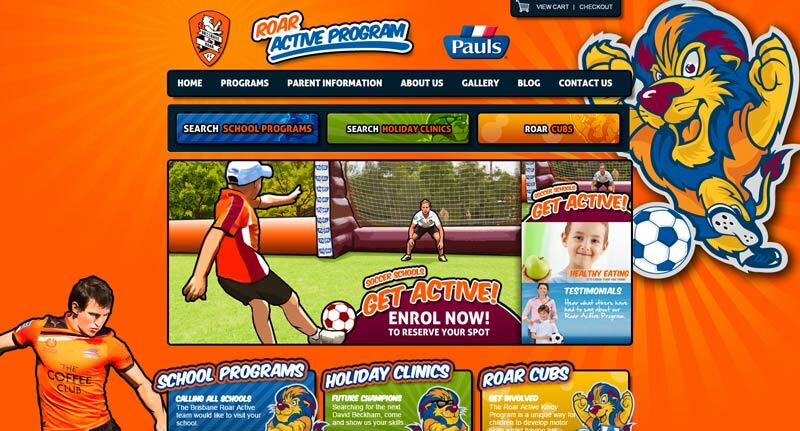 You can go online to register and payment is made directly to the Brisbane Roar not the Boonah Soccer Club. 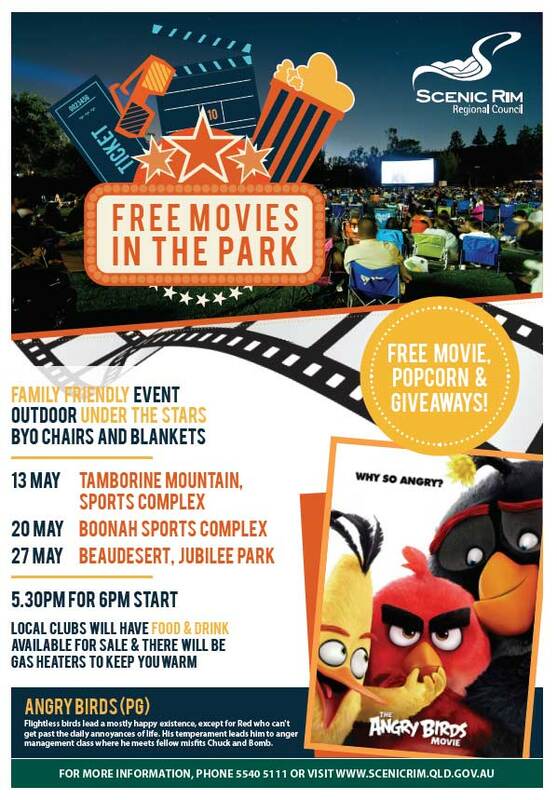 The Scenic Rim Council is holding a Free Movie Night on May 14 at Coronation Park. Food will be available from the canteen. This is sure to be a fun family evening! The very popular Mega Sportz Soccer Camp will be held again this year at Camp Moogerah from 27 June – 1 July 2016 for children in Grades 4 – 7. For more information and to register, visit: Mega Sportz (there is an early bird discount if you register before May 22). 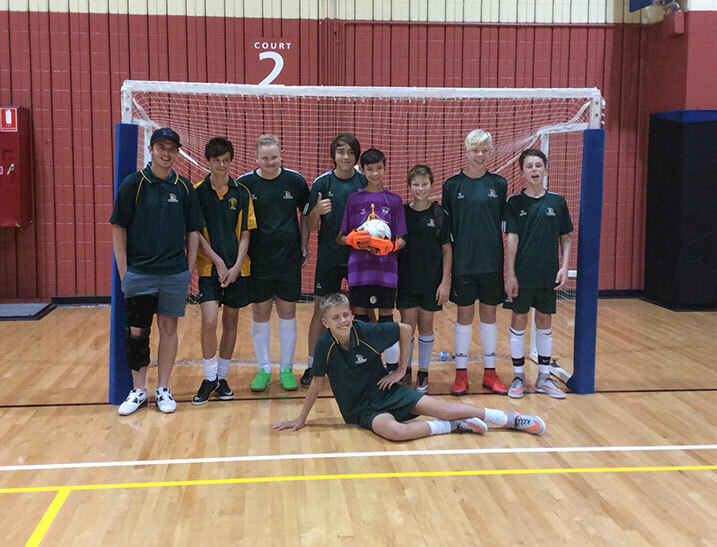 West Moreton was crowned overall champions of the 2016 Regional Futsal competition held over the Easter weekend. Quite a few Boonah players were part of these teams – congratulations to all those players! Some Boonah players were also selected for the State squad or selected to trial – congratulations to those players also! It is that time again for futsal sign on for our summer 2015/16 season. Sign-on will be held on Tuesday 15 September 2015 at the Boonah Sports Complex, Coronation Park between 3.30 and 6.00pm. The Annual General Meeting for the Boonah Futsal Competition will be held at the Boonah Sports Complex, Coronation Park on Friday 11 September 2015 at 7.00pm. All teams interested in playing futsal for the 2015/2016 season to be represented at this meeting. Shop for the latest products while you help raise funds for The Boonah Soccer Club. By having a Tupperware Fundraiser we can raise as much cash as we want!! Feel free to bring along a friend or two to this great event!!! New Futsal Draws are now available for the Open teams starting 12 January. Draws for the Junior teams will be out soon starting 19 January. 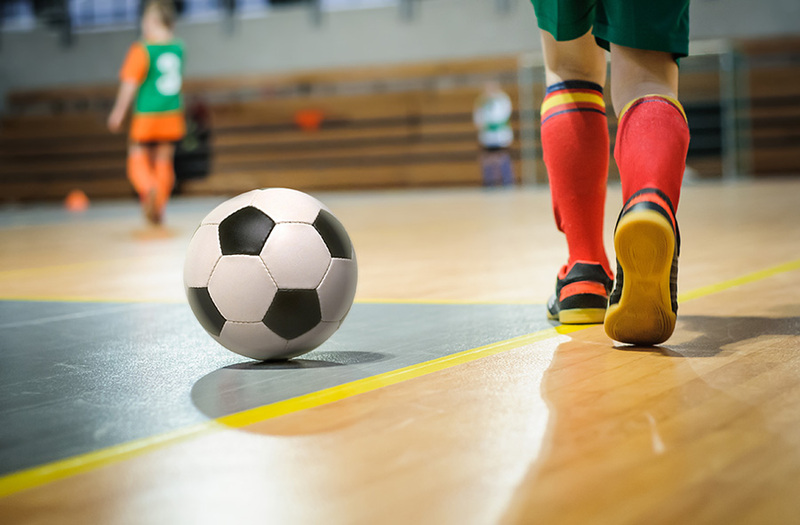 Futsal sign-on for the new 2014/2015 Summer Season will be held on Monday 1 September and Monday 8 September at the Boonah Sports Complex from 3.30 – 6.00pm. Age groups: 9-11 yr mixed, 12-14 yr mixed, Open 15 yr+ mixed (A & B Divisions). Juniors have individual sign on (team placements – max 2 players will be accepted). Fees $70 includes two shirts. No Eftpos will be available at sign-on, Cash only (Bank transfer options available – more info at sign-on). Players must be financial before they can play. Nominations accepted for zone representative players, referees, team contacts. 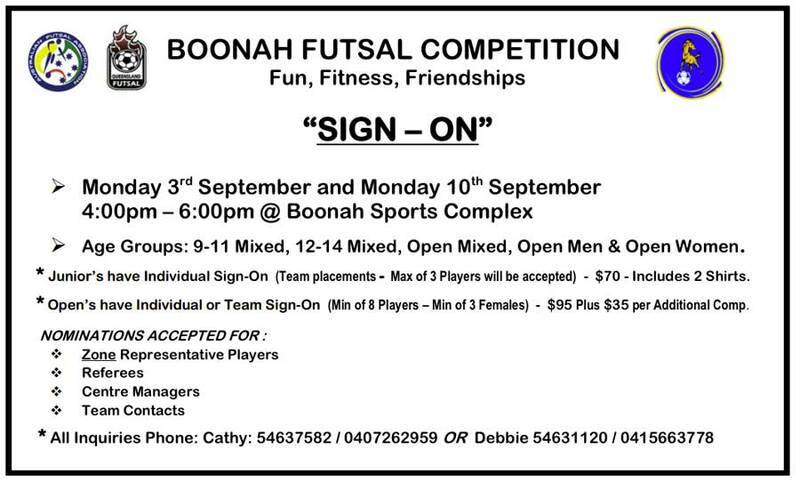 Join Boonah Futsal for Fun, Fitness and Friendships! Due to poor attendance at last nights annual meeting, we were not able to make a new committee for the 2014/15 competition. Therefore we are holding another meeting on Wednesday 20th August at the Boonah Sports Complex at 7:00pm. Treasurer: This position will require you to Collect fees at the beginning of each season, and complete payments to referees and other payments required. You will also be required to attend monthly fustal and soccer meetings. Junior Secretary: This position will require you to set up weekly game draws for the junior division and liase with comittiee on behalf of the junior competition at our monthly meetings. If these positions are not filled at the meeting, our Futsal compettion will not be able to operate. It is important that if you wish to play futsal next season that you are at the meeting to help your organisation run. This is a great sport that is enjoyed by many, it will be a shame if can not operate. Futsal 2014/2015 season annual meeting is on tonight, Wed 6th August at 7:00 pm. Please note change of venue: due to a double booking of the sports complex, the meeting will now be held at the Boonah High School Hall. Please pass this on to anyone you know who may be attending tonight. All welcome! Opens Futsal Mixed winter comp is about to begin. Any one from 14 yrs onwards are welcome to join. Sign on is THIS Thursday 3rd April at 6:30 pm. This is held at the Boonah Sports Complex, off Coronation drive. At least ONE person from every team must be present at the sign on meeting with team sign on forms and individual registration forms. These are attached. Please bring payment on Thursday 3rd April. Online sign on is also required to be done before your first game. I will contact you when online sign on has been activated. At the meeting, we will be discussing which days teams would prefer to play. Please discuss this with your team members before the meeting. options are Monday and Tuesday OR Tuesday andWednesday. We will also run A and B division again IF there are enough teams overall to warrent this. The trials for 12 to 14 age group that was on for this Saturday has been cancelled and will take place now next Saturday 15th March at Oxley starting from 2PM. An email will be sent out confirming the time slot for each age group. Due to high school games being on every Tuesday, 12-14 games will now be held on Fridays, starting as of 7th March. Urgent notice: All Thursday 27 Feb futsal games have been postponed. All Tuesday 25th futsal games will be held on Thursday 27th (the games will start as what they would on a Tuesday). Tuesday 12-14 games remaining for the season to be confirmed, once booking is finalised with high school. All Monday 24th futsal games will be held on FRIDAY 28th (the games will start as what they would on a Monday). The high school hall is being fitted with fans, so it will not be available for use for ANY Monday 24th February Games. Games held on Tuesday and Wednesdays are not being affected at this stage, and will go on as normal. 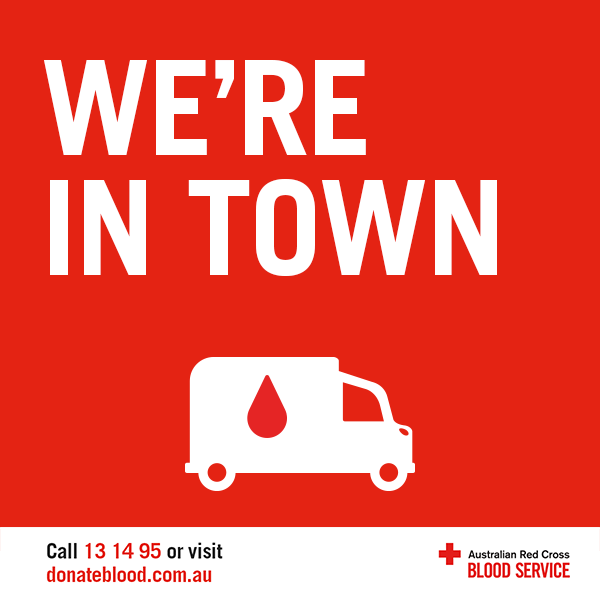 Time: 4.00 – 6.00 pm at the Boonah Sports Complex at Coronation Park. 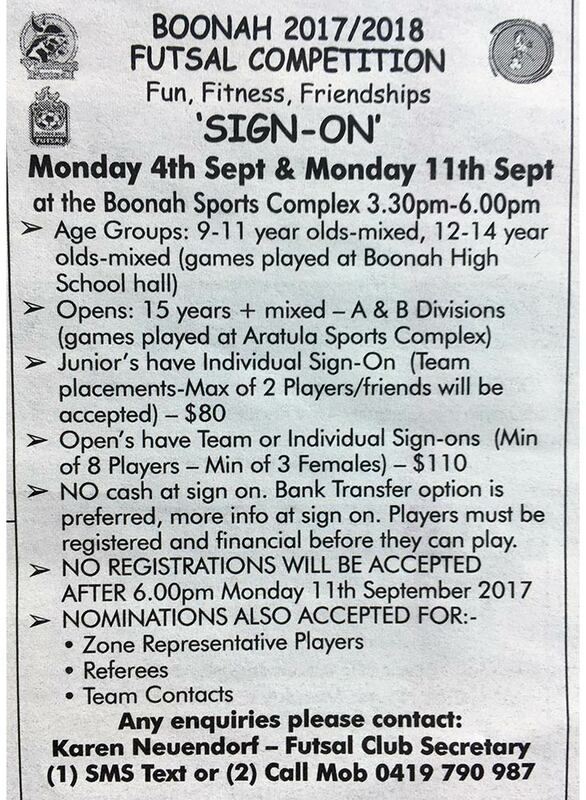 It’s that time again Boonah Soccer Club players! 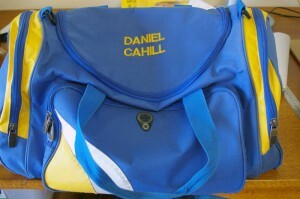 Grab a quality soccer bag with the player’s name beautifully embroidered on the top. You may have seen them proudly sported by many of our players. Price is just $32.00 each. Please download this order form, fill out and return to Annette or Phillip Cahill. Please order by 11th May 2013. 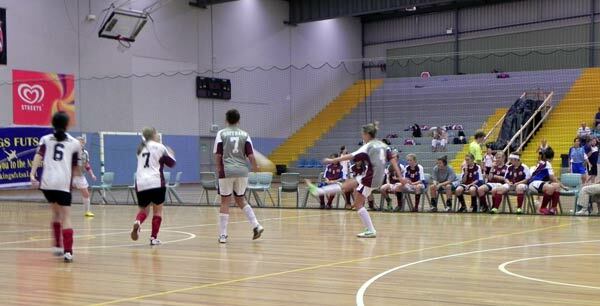 Combined Futsal meeting and sign-on for the 2013 mixed open winter comp will be held tomorrow night Wed 3 April at 6.30pm at the Boonah Sports Complex. $80 for New Players or $30 for Players Registered this Summer. Registration forms, Team Nomination forms and Guide to player self-registration available here. Futsal meeting was to be Thursday night, but has been postponed till Wednesday the 3rd Of April, 6:30pm. The meeting will be combined with Winter Sign-On for Opens. End of Summer Open Comp, update. Open Winter Comp re extra Opens to step up into Committee to assist to run Winter Comp. If enough interest and help @ meeting Winter Open Comp Sign-On, will follow. Will send out Minutes & Agenda as well as Sign-On forms ect over the weekend. Please note futsal draw changes for next week. The last lot of Futsal draws are now available taking us through to the end of the season. Thanks to all coaches, managers, players and supporters for a great season! Please note the futsal draw for Juniors 9 – 11 has been amended: was Tuesday 14th, now reads Thursday 14th Feb.
Futsal Draws for the first two weeks of February are available here. Junior rounds will finish the in the week of 18 and 22 Feb. For something a bit extra and a bit of fun, in the week of 25th Feb to 1st March will be Challenge Week – first in basis – teams can challenge another team in their age group, for 11-14 one team can challenge twice (but first in gets it). Opens rounds will finish in the week 11th March to 15th March. 18th March to 22nd March will be Finals Week – 1 v 2, 3 v 4 and so on, the team that finishes last can challenge another team if they wish to have one last game. 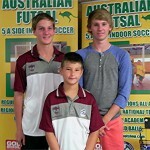 Selected from Australian Futsal Association National Club Titles in Sydney early 2012 , Boonah Futsal had Three players accept positions to represent Australia in National “Tours of a Lifetime”, they were Shaun Maguire – 15 Boys, Emily Hoffmann – 14 Girls & Mitchell Herrmann – 12 Boys. Shaun went to the USA – San Jose and San Francisco from the 25th October to the 9th November. Shaun had a wonderful time. He learnt a lot of game skills. Shaun’s team came 2nd in the competition. He had a great time shopping in so many sport stores. His Mum reports he brought back 5 pairs of shoes. The Team went cycling over the golden gate bridge and went to Alcatraz. They played volleyball on the beach. They stayed mainly in San Jose. Emily and Mitchell went to New Zealand from the 16th to the 28th November. 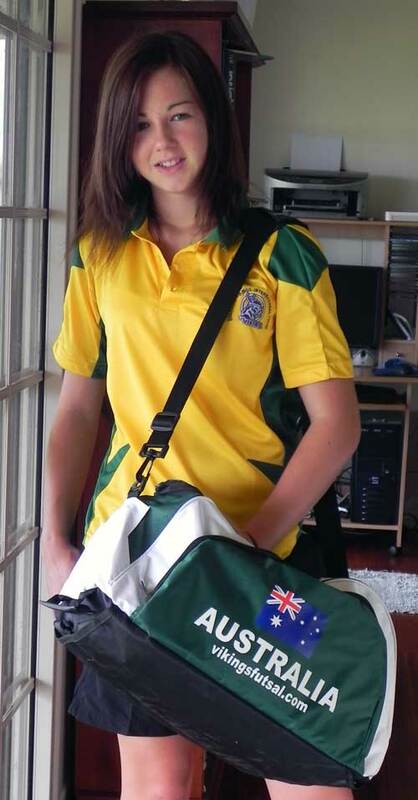 Emily said my experience to New Zealand was fantastic, we were able to attend an adventure park, polynesian spa, a Thermal village, Sky Tower, and a Underwater Aquarium and a Shell factory, while having the opportunity to play many tournaments along the way with the New Zealand teams. We drew two games but unfortunately lost the others. The weather was great the whole time we were over there. I would like to thank all of the people who sponsored me and gave me the opportunity to attend this tour. As I gain many life long experiences from the trip. And found the New Zealanders very friendly and they showed us their kind hospitality while on your. Mitch’s main highlights of New Zealand were seeing snow on the mountain tops, the boiling mud and the luge ride in Rotorua , the view from the Sky Tower, however the most freakish thing was knowing that the ground could cave in at Rotorua so we had to walk on the cement pathways. I would have to say that the most awsome thing was playing futsal and 5 a side soccer throughout the tour, winning the Futsal Tournament in Auckland and the mates that I have made from this Australian Tour. The most exciting thing is knowing that I will get to meet up with my mates again that I have made from the Australian Tour at the National Futsal Tiltles in Sydney. The Players wish to thank all who have supported and sponsored them. 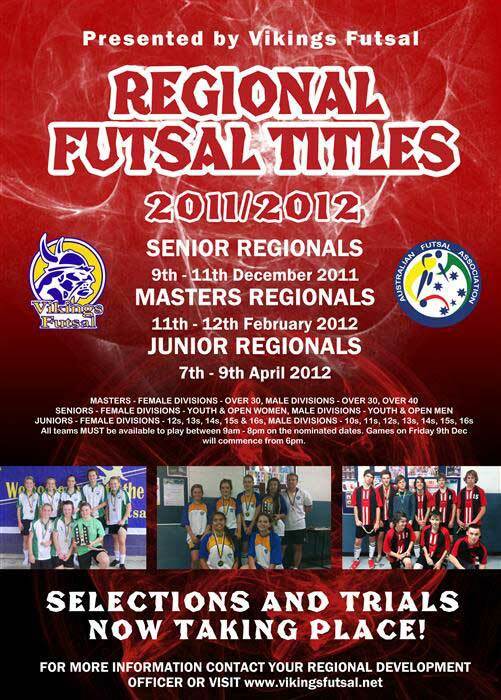 Futsal Draws for rest of 2012 now available here. Please note that this event has been cancelled. Stay tuned for details of a recehdule. 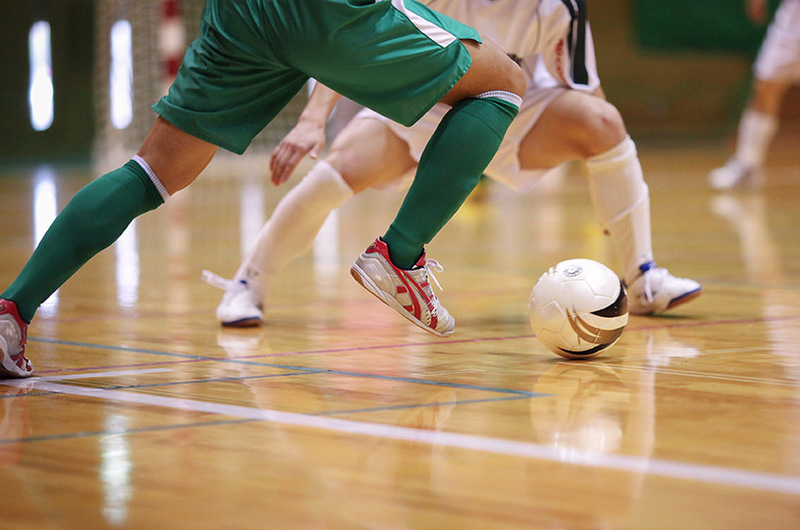 Futsal sign-on forms are now available on the Forms & Docs page. Please check updated draws for 9 – 11 and 12 – 14 and junior referee draw. 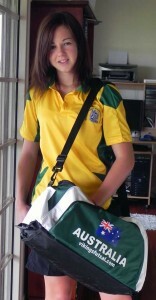 From the Vikings National Futsal Titles held this January 2011, Jessica Milano had the honour of being selected to represent Australia, for the 15 year Girls Team, in the United Kingdom “Tour Of a Lifetime”, from 13th – 31st October 2011. “The Training was great we were coached by John Owens from Liverpool FC, Manchester City Academy Coaches, Greg Strong Academy Coach from Bolton Wanderers, I thought the Everton coaches were the best. They were really good at showing us different ways of creating space, in addition to improving our skills, like turning on the ball.” I learned heaps. “We had a really good tour group, I made heaps of new friends with kids (adults too) who I wouldn’t normally have got to meet as they come from all over the country, we definitely had plenty of fun travelling around together for three weeks.” When asked if she would recommend this to anyone else who is fortunate enough to be selected the answer was a definite “YES” “Sport, Travelling and Touring is a great combination”. Jessica said. Jessica would like to thank the Fassifern Old Boys, the Lions Club of Boonah, the QCWA Boonah Branch for their generous sponsorship. A Big thanks to Winston Hall of Mantra Group and Breakfree for donating 2 Night’s accommodation – 4 People, 2 Bedroom Deluxe Apartment, Break Free French Quarter, Noosa Heads, for Jessica to raffle. 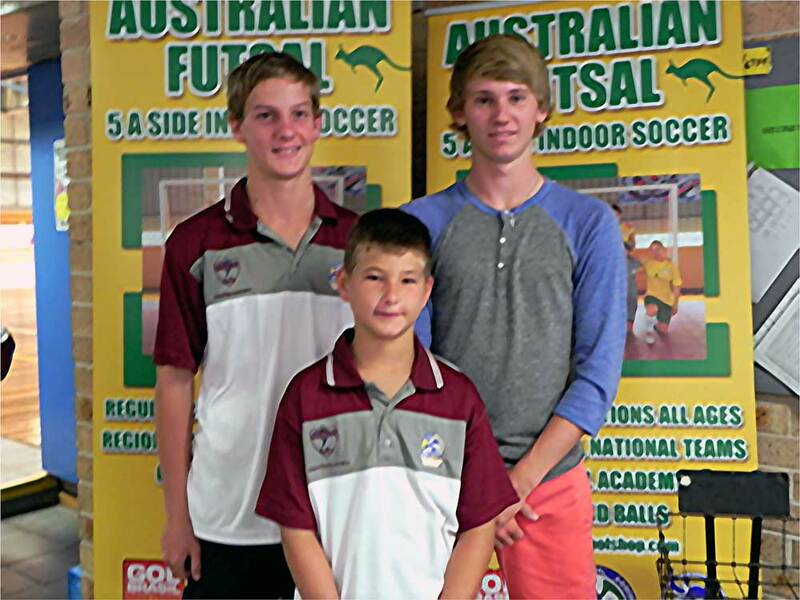 Thank you to Maureen Maynard and Quota Club of Boonah and Boonah Futsal for their support. Thank you to all who bought tickets to support Jessica, Congratulations to the winner Shaarn Eldridge. 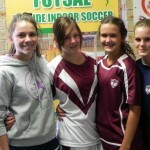 Vikings Futsal Regional Titles 2011 were held from 16th to the 18th of April over the Easter school holidays. Those junior representative players from Boonah were Maddy Hoffmann, Jessica Milano, Josh Leshke, Brent Colley, Shaun Maguire, Kimberley Cahill, Emma Robinson, Dimity Comino, Emily Hoffmann, Mitchell Herrmann, Brad Reiser & Daniel Cahill. From the weekend Jessica, Josh, Brent, Shaun, Emma, Dimity, Emily and Mitchell were selected to play in the National Titles for Queensland in Sydney in January 2012. Unfortunately due to injury Josh was unable to compete. Vikings National Titles 2012 were held in Sydney from the 9th to the 12th of January over the Christmas, New Year school holidays. The Boonah boys: Brent in South Queensland City 16, Shaun in South Queensland Metro 14 and Mitchell in South Queensland Capital 11, were all unlucky with their teams just missing out on playing in the Semi Finals buy 1 point. The Boonah girls: Jessica in South Queensland 15, Dimity and Emma in Queensland Country 14, and Emily in South Queensland 13, did very well with all 3 teams winning a Grand Final. Jessica’s team South Queensland 15 finished on 23 points in first place, they played in a 15/16 comp and were undefeated, a draw in the fourth round the only point they missed out on during the competition. Playing in a 15/16 competition the 15 Girls were eligible for both 15 and 16 Girls finals, which they played in two Semi’s and won both, then played in two Grand Finals. They won the 15 Girls Grand Final and just missed out on the 16 Girls, which went into extra time and penalty shootouts. Dimity and Emma’s team in Queensland Country 14 finished on 18 points in second place, only losing two games during the competition. They won the 14 Girls Semi and Grand Final. Emily’s team South Queensland 13 finished on 24 points in first place, they played in a 12/13 comp and were undefeated during the competition. They won the 13 Girls Semi and Grand Final. Emily was also named an All Stars winner. Congratulations to you all you did Boonah and Queensland proud. Also Congratulations to those players who have been selected to represent Australia in National Tours, best wishes to those who are able to accept. The last week of the U9-10 draw has changed. Please see our new Futsal draws page. There have been some changes to the draws due to school futsal. The new junior draws and referee draws are below. Please note that today’s games (21/2/12) have been moved to Friday. 3 spots in 10s which no Boonah boys nominated, really need someone else for this team. 3 spots in 15s, really need someone else for this team. Spread the word if you know of someone who missed out on nominating and now wishes to, or even someone who declined and now wishes to, it is not too late. Please contact Cathy Milano on 5463 7582 ASAP. Next Futsal meeting is on Thursday 19 January at 7pm. Please send a representative from each team. There are imporatant changes to the 12-14 teams starting in the coming weeks, please contact your team manager for information. 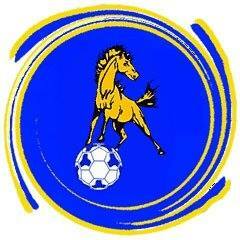 Futsal Meeting Monday 5 Dec at 6.00pm at the Boonah High School Hall. Can all junior teams please have a representative (or multiple) present as we will be discussing the proposed distribution of the junior teams for the beginning of next year. Players may be arranged into more even teams based on age and skill level to ensure a fair competition. Please attend if you would like to be part of this discussion. 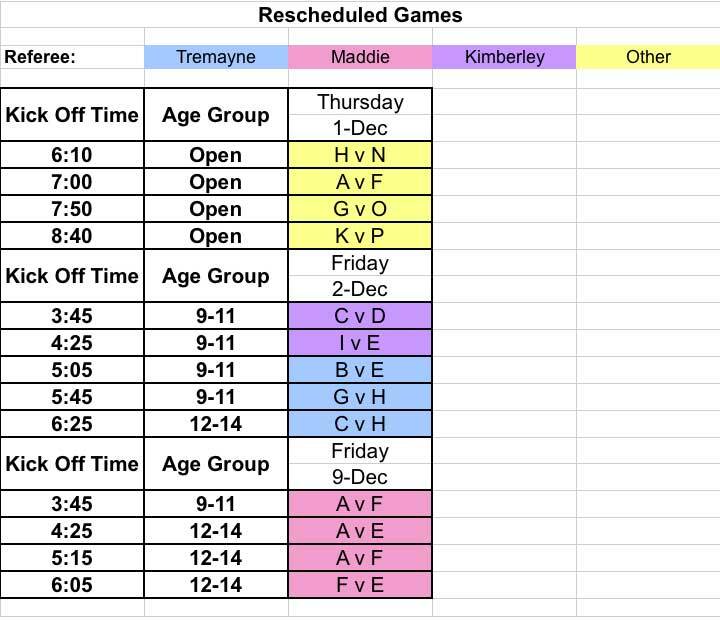 A draw is available for the games that were cancelled at the beginning of November which have been rescheduled to be played Thursday 1/12, Friday 2/12 and Friday 9/12. Please email Stacey Wenzel if your team is unable to play. 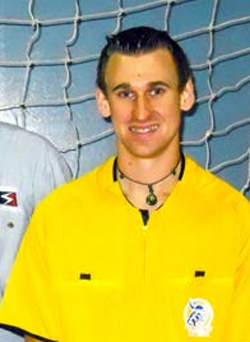 A Futsal referee course will be held Saturday 03 December commencing at 7:30am at the Boonah High School Hall. Please email Stacey Wenzel by Tuesday 29 November if you would like to participate. A futsal meeting will be held Wednesday 16 November at 7pm at the Boonah Sports Complex. Please arrange for a representative from each team to attend. Futsal games for this week (31 Oct to 3 Nov) have been cancelled due to the High School hall being unavailable. Games for Fri 4 Nov – TBA. Nominations are now being accepted for all players wishing to trial for Regionals. Please email me any nominations by Sunday 6 November 2011. The trial date will be advised at a later date. Below are the first three weeks of the futsal draw and the team lists. The final draw will be available once the dates been have confirmed for the high school hall availability. Team shirts will be supplied for 9-11 and 12-14 age groups. Open teams – please bring a black and a white shirt to the game, as these will not be supplied this season. 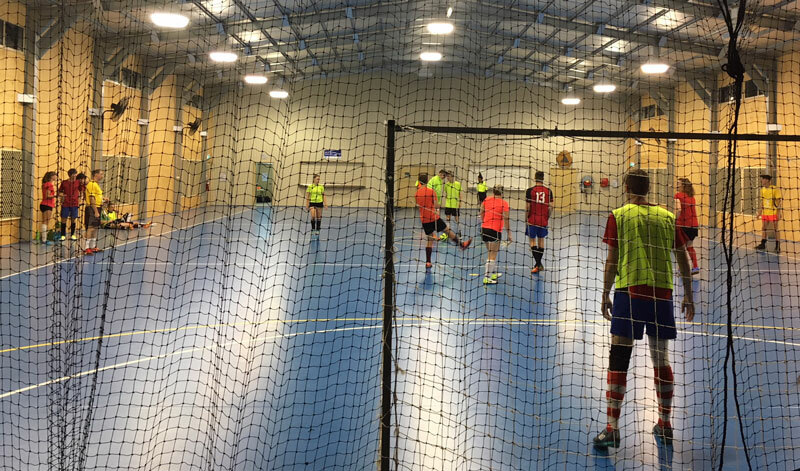 If you haven’t yet signed-on for Futsal this season, come along to the next Boonah Futsal sign-on Tue, September 6, 4pm – 6pm. After signing-on with the club, players will need to register online with Vikings Futsal. When you sign-on we provide you with important information that will make registering with Vikings Futsal much easier and stress-free. Some people have had difficulties recently when trying to register online at Vikings Futsal. These problems have now been fixed but it is important that you know which options to select when registering. If you are still having trouble with the process please pop into the next sign-on Tuesday Sept 6 to get more information. Next Friday Ritchies IGA take over SPAR and they will be introducing a Community Benefit Card to customers and .05% of their purchases will be donated to the charity, school or club of their choice. (E.g. Spend $2 and they donate $1.) This would be a great opportunity for the soccer club as a lot of families that play soccer shop in Boonah. Please consider the soccer club when choosing your nominated club for your Community Benefit Card. Ritchies anticipate that they will donate up to $3000 cash every month working on figures from current sales. That would be $36,000 a year! Please nominate the Boonah Soccer Club on your community benefit card.